Back to school can mean more free time for you, but it comes at a price. One of the most painful tasks to get ready for the school year is back to school shopping. There’s the crowds, the scramble to find the right supplies and compromising with your kids about clothing. Fear no more, All Island Transportation has essential back to school shopping tips that hopefully puts you at ease. Before spending money on countless school supplies, take a look around the house first. There’s probably a few scissors, rulers and pencils laying around that haven’t been used yet. Even if the supplies you have at home aren’t on your child’s school list, it’s a perfect time to start a supply stash for the future. Enlist the kids and have a school supply scavenger hunt! Check for coupons and online sales, like Amazon.com. A little well-kept secret is shopping at grocery stores for supplies. 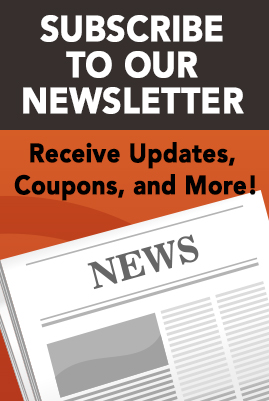 Check weekly circulars for impressive discounts and back to school sales. Your child probably needs a folder and a notebook for the first week of school, but odds are they won’t need a protractor right away. So hold off on some of the back to school supplies and stick to basics your child might need right away. Then after the first week of school, search for marked down prices and clearance items. This way you won’t break the bank. Right before summer ends, get the kids together for one great day of fun in the sun. While the kids are playing, the parents can swap the children’s clothing to avoid spending money on new clothes. Before spending money on fall and winter clothing, check out end of summer sales. Kids wear short-sleeve shirts all year round, why not take advantage of the discounts on summer clothes? Just pick up some zip-ups to layer on top. Instead of purchasing a themed backpack and lunchbox that your child will most likely have no interest in using next year, invest in a lifetime guarantee backpack. L.L. Bean has a vast variety of backpacks and lunchboxes. There’s plenty of colors to choose from and you can even have your child’s name or initials stitched onto the backpack. JanSport is another great backpack brand to look into, plus JanSport has vibrant designs and patterns your kids will love. Don’t let the stress of back to school shopping get the best of you this year. Use these tips and you’ll survive with a full wallet and a happy kid! Need a lift to go back to school shopping? All Island Transportation can pick you up in one of our cars and comfortably fit all the supplies you find! Call us at a location near you or make a reservation online.